Reverend Doctor Kathy Hurt is an ordained Protestant pastor with nearly 30 years’ experience serving congregations in the Midwest and California. Central to her ministry has been her focus on supporting and guiding the ongoing spiritual growth of individuals and groups, a focus that has been present in her writing, teaching, and preaching. This website is Kathy’s newest effort to offer her resources for spiritual development to an audience beyond her congregations. 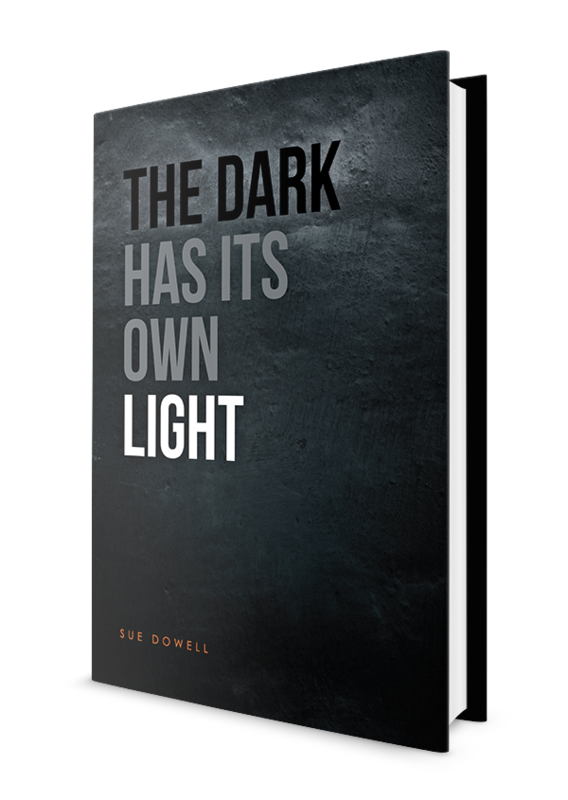 The Dark Has Its Own Light is a firsthand account of Sue Dowell’s experiences as a patient in a psychiatric hospital and her eventual recovery. It is a powerful true story of grace and healing in the midst of overwhelming odds. If you have a question, comment, or would like me to speak to your congregation or organization, please fill out the form below. Your message will be sent directly to my inbox, and you can expect a timely response. If you enjoy my reflections, writings, or just want to support my work, please consider making a donation. Thanks!